Imagine being able to live a life of virtually total fulfillment. Each day, you are blessed with a variety of fresh food and a seemingly endless amount of free time. You do have to do some work, but this perhaps takes up as little as three or four hours of your day. The rest of your time is devoted to sleeping and resting as much as you want. You are never short of company, surrounded by your friends and family; you talk, laugh, share, dance and generally just have fun. In this world, there is no such thing as money; so mortgages and debts are unheard of. You don’t have to worry about exams, qualifications or the pressures that are synonymous with a career, such as appraisals, targets, promotions and demotions. There’s no chance of you ever losing your job, there is no police force, so you can’t get into trouble with the law. If you are in desperate need of something; no problem, you simply ask your friends or neighbours if you can borrow or have whatever it is you want. Sometimes you get ill, but nowhere near as commonly as you do in the modern world. Most of the diseases that we are familiar with do not exist. This is a world, where warfare is rare, on account of there being plenty of food and resources to go around; competition is minimal. It sounds like the best sort of life imaginable doesn't it? So why aren't we striving towards living this sort of lifestyle. The fact of the matter is that in the modern world, this lifestyle is just not an option. However, this seemingly tranquil and idyllic lifestyle was the one practised by us humans for 99% of our history, it’s called hunting and gathering, and much of what we know of our prehistoric ancestors seems to suggest that they lived a mostly happy and peaceful life. The First Hunter Gatherer of all? Before the invention of agriculture, some 10,000 years ago, there were few, if any permanent homes or villages. People were nomadic, either moving with the seasons, or simply when they felt they had to. Contrary to popular belief, it was actually the women that supplied most of the food, gathering wild fruits and nuts, and occasionally indulging in hunting smaller animals. By and large, men concentrated on hunting larger animals, although the women would have assisted on occasion. Particularly when trying to catch a fleet footed animal like a Deer that needed to have all possible escape routes cut off. The nomadic lifestyle demanded that people had few actual possessions. All they had was literally what they could carry. In the cool north, people wore tight fitting clothing made from animal skin and fur. In the tropics, people simply walked around virtually naked. Why burden yourself with things that you do not need? As well as the clothing they stood up in, the people would have carried essential items such as water carried in a bottle, made from a vegetable called a gourd that belongs to the same family as pumpkins. In Africa, the people utilised ostrich eggs, punching a small hole in the top, removing the yolk and filling them full of water. They also carried spears or bows and arrows for hunting, and also nodules of flint used for butchering dead animals and fire lighting. For hunter gatherers, the idea of owning something exclusively was alien to them. Their culture was built on a foundation of sharing, because sharing meant that an individual wasn’t overburdened with items. There was no such thing as money or any sort of currency, everything a hunter gatherer required could be easily obtained from the surrounding environment. The relationship that hunter gatherers enjoyed with their environment was fundamentally different to the one we have today; they saw themselves as part of the landscape, the same way a tree was. The concept of owning a piece of land was entirely foreign to their way of thinking. Humanity lived in this state of natural balance from the time of the first true humans, Homo habilis at least, so that’s around 2.5 million years. 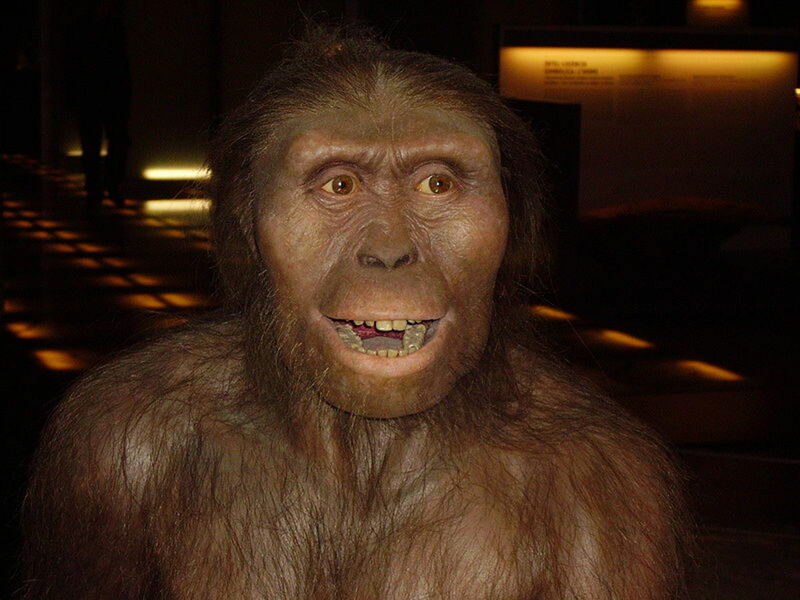 But it could well be, that hunting and gathering’s origins reach further back in time, to the age of Australopithecus, the first apes to stand and walk upright, a million years earlier. So hunting and gathering may well have been practised by humanity and their ancestors for an astonishing 3.5 million years. Hunter gatherers lived in a state of perpetual harmony both with each other and the environment. Like other animals, they hunted, only when they had to; they only slept when they had to. If resources began to dwindle, they would simply move elsewhere, thus giving nature a chance to restore the land left behind. 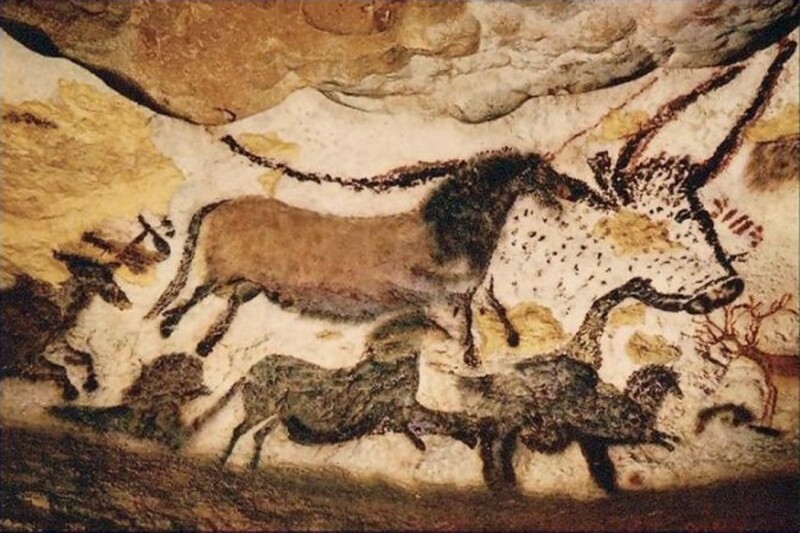 In 1940, Pablo Picasso paid a visit to the Lascaux caves to gaze upon the extraordinary works of art painted by hunter gatherers 17,000 years before. For a long while he stood in silence, awed by the skill of those prehistoric artists. The only comment he made was: 'We have discovered nothing.' You can't get much higher praise than that. One of the finest cave paintings that can still be seen today were discovered one autumn morning in 1875, by an eight year old Spanish girl called Maria Sautuola. Maria, as you can imagine was no archaeologist, her incredible discovery occurred by chance. She was exploring some caves with her father, Marcelino near their home in Altamira, a small town close to the city of Santander. They entered one of the caves and proceeded to explore the gloom that lay before them. Maria suddenly gazed upwards and beheld a series of paintings that covered the ceiling. The paintings were of animals that closely resembled cows. Maria’s father was a keen amateur archaeologist and immediately identified that the creatures depicted were bison; with great enthusiasm he set to work to try to find out more. He spoke to a close friend who was an expert on cave art and together they declared that they were the oldest paintings in the world. At the time however, the world wasn’t quite ready to believe that such wonderful works of art could be so ancient, or be the work of so called ‘primitive cavemen’. Experts widely denounced Sautuola’s claims, denouncing his character by suggesting that he had paid somebody to come in and paint the caves, in order to achieve fame through fraud. Sautuola’s character remained stained until 1902, when experts began finding more paintings deep inside caves. Unfortunately, Sautuola had died fourteen years before, and so had never been vindicated in life. 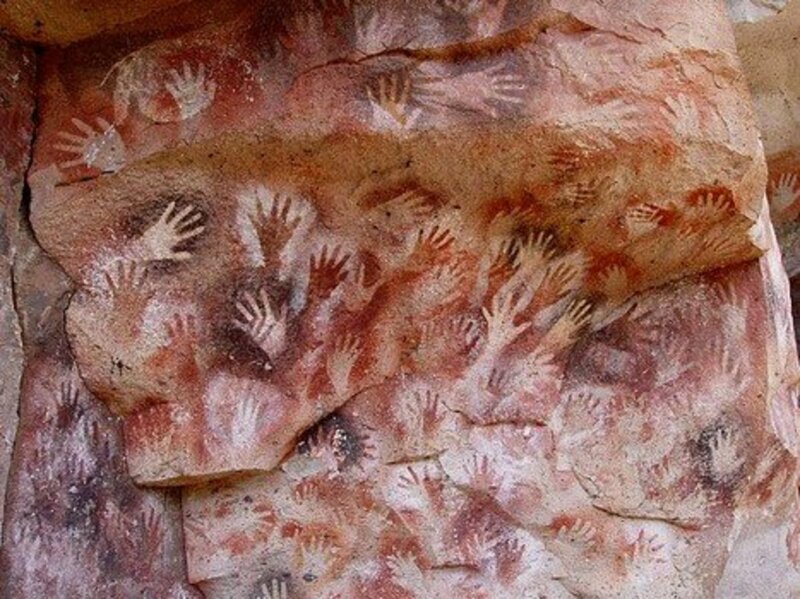 Modern day dating techniques have revealed that the paintings are nearly 20,000 years old. 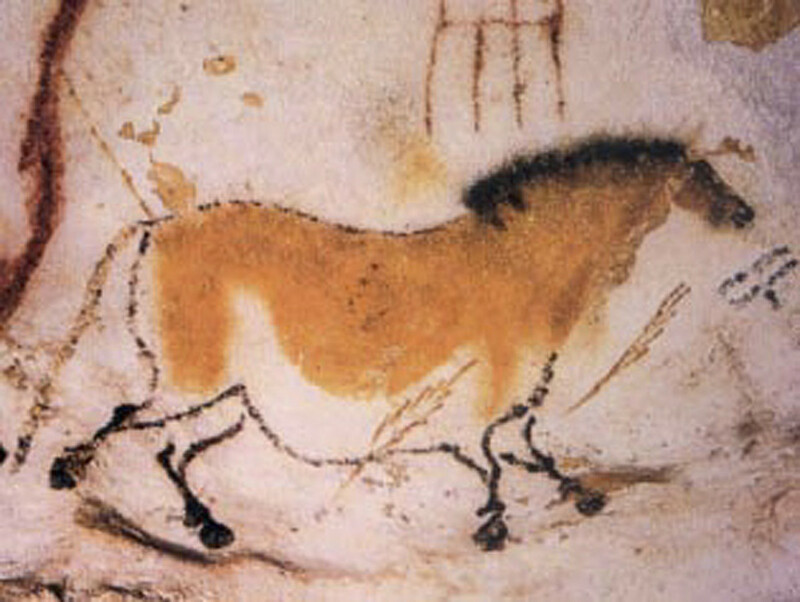 Most of the paintings found, have been of animals, mostly herbivores such as horses, bison, aurochs (the ancestor of the domestic cow) and mammoths. But why exactly were these sorts of animals painted? What materials did they use? They were certainly not meant for display, since the majority of paintings discovered lie in the deepest, darkest recesses of a cave; this includes the paintings found by Sautuola and the famous paintings at Lascaux in southern France. It seems strange to think that such great masterpieces were created in places where natural light was nonexistent. 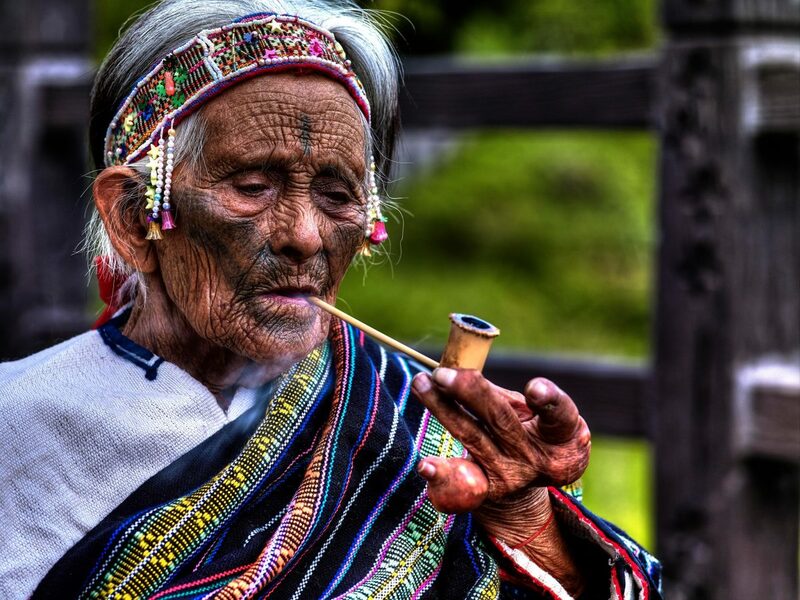 Most historians think that the paintings were created by ancient holy men known as shamans. It’s thought that they would retreat into the depths of the cave carrying a torch and perform rituals, based on some sort of hunting magic. By painting herbivorous animals on the rocks of caves, the shamans hoped to summon their spirits to provide them with good food and good fortune. Shamans used various types of clay, sometimes mixed with iron oxide, to create different colours and pigments, which were blended with animal fat to create a sticky paint, every bit as effective as any modern paint that we use. The Last Stone Age Tribe, known as the Sentinelese that live in perfect isolation on a tranquil Island. Bushcraft Expert Ray Mears visits the Hadza in Africa. Filmed in 1997. The only way to get a true insight into the hunter gatherer way of life is to study those hunter gatherers that have somehow survived into the modern age. Admittedly there are very few true hunter gatherers left, due to the advances of modern industry and agriculture. The few that do remain are confined to a few forgotten corners of the world, in Australia and Africa they cling on to areas of land deemed unsuitable for farming or any permanent settlement. There are perhaps, a few thousand hanging on by a thread. 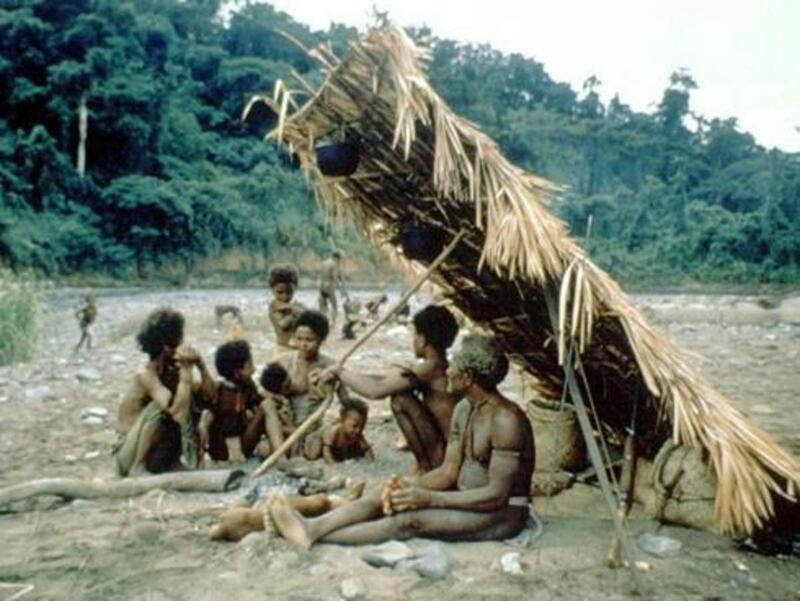 I wrote a hub exploring one of the last tribes in the world to live in complete ignorance of civilisation, the Sentinelese live on a small island in the Indian Ocean, and have done so for 60,000 years quite successfully. But I want to talk about another tribe that have managed to maintain a traditional existence despite the presence of civilisation close by. They are the Hadza, an extraordinary tribe that live in Tanzania, East Africa; they are the last tribe to live a traditional existence in the area that served as our evolutionary cradle. Until quite recently, the Hadza thrived in the forest surrounding Lake Eyasi in the Rift Valley, where they happily hunted wild game, gathered fruit and berries and moving from one place to the next. By 2006 however, their numbers had dwindled to less than 2000 and they had gradually been squeezed into a tight corridor of wilderness surrounded by ever encroaching farmers and settlements. 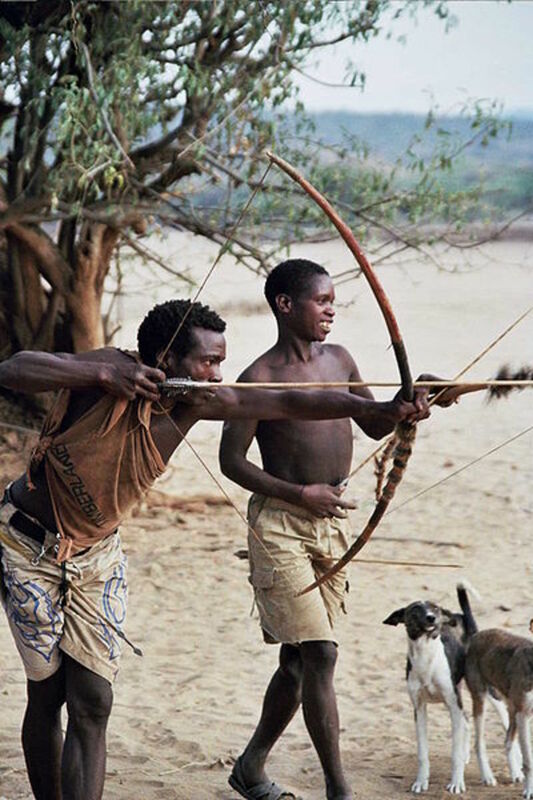 The Hadza have absolutely no history of aggression, so rather than fight their corner, they retreated deeper into their forest home, hiding from the modern world as best they can. The Hadza own nothing, and share everything. Recently, a member of the tribe was given employment as a guide showing giddy, curious tourists around the bush. Normally, somebody with a job keeps the majority of their wages; but on this occasion the guide shared all of his wages with the entire tribe. The Hadza’s lifestyle and culture is in stark contrast to a modern society, which is governed by law, order, administrators and rulers. The Hadza, instead rely on intelligence and cooperation, organising themselves into small and flexible groups. Relying on cooperation and flexibility is the key to why the Hadza have survived for so long, by owning nothing and maintaining a great amount of mobility they avoid the trappings that blight modern society. Their language is one of the strangest you’ll ever hear, relying mostly on clicking, the vowels and consonants so familiar to us seem entirely absent from their language. Indeed some experts have postulated that their language may be similar to the ‘original’ language first spoken tens of thousands of years ago. The clicks are extremely effective during a hunt, because they allow complex information to be transmitted over considerable distances without having to resort to shouting and giving away their position. More evidence of these remarkable peoples’ heritage comes in the form of genetic studies which show that their DNA is the most diverse of any human population yet studied. This greater diversity means that their bloodlines are extremely ancient, because genes differ from one generation to another at a constant and predictable rate. It seems that the Hadza split off from the rest of humanity early on in the history of Homo sapiens, meaning that they are the most ancient humans still alive today. It seems strange to think that every newborn Hadza is one of the youngest people on the planet, but also one of the oldest. 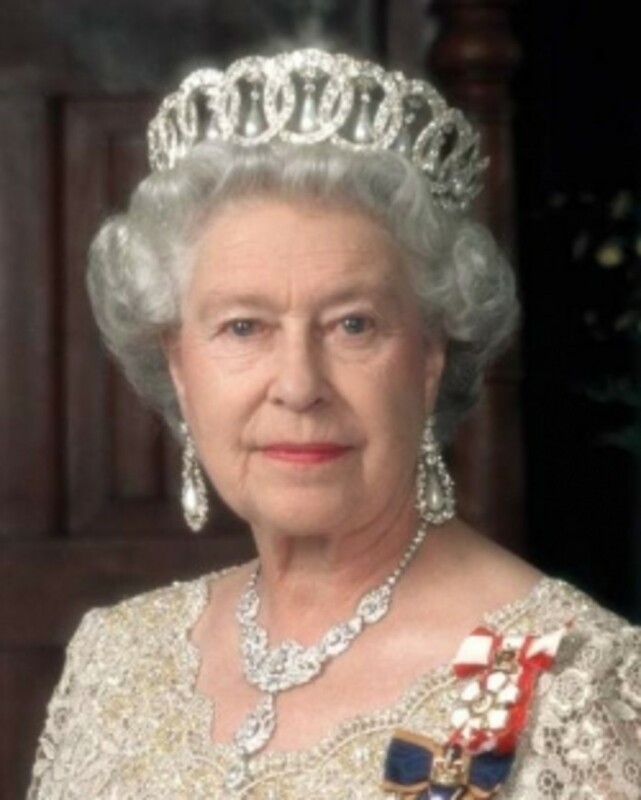 However, it is very likely that these remarkable people and their extraordinary lineage will soon be lost, becoming merged with the encroaching modern world. By studying the Hadza way of life, we gain an insight into just how efficient the Stone Age way of life was. Everybody in the tribe is involved in food production, they are all extremely mobile. There are no rulers or class of people that sit around waiting to be fed. They live without money, banks, loans, wages, accountants, lawyers, taxmen and merchants. There is no need for writing, electricity or any transport apart from their own two feet. The Hadza have a knowledge of their environment that we find difficult to understand. Each one is an expert in what is edible and what is poisonous. They all carry knowledge on how to treat illnesses and other health complaints using only what nature has provided them in their forest home. This encyclopaedic knowledge has been passed down orally through the generations. The unschooled Hadza is initially perceived as ignorant, due to the lack of a modern education, but their extensive knowledge of herbal and plant remedies is sometimes greater than even the best pharmaceutical scientist. Was Agriculture our Biggest Mistake? Jared Diamond's interesting article that investigates whether inventing agriculture was our biggest mistake. An interesting article from the Economist that challenges the belief that hunter gatherers lived a peaceful existence. It also challenges the belief that they lived in balance with nature. A detailed article by Peter Gray, who tries to explain how hunter gatherers were able to maintain an egalitarian society. Hunter gatherers both modern and prehistoric have a deep regard for all things natural, it helps form the basis of their mythology and religion. Their environment was not a place to be exploited and conquered, but rather a place full of magic and wonder, a place that contained the spirits of their ancestors; they believed that the ancestral spirits offered protection, guidance and comfort. For them, the environment was their life force, providing food, warmth, living space, medicine and shelter. The biggest strength of the hunter gatherer lifestyle was that it provided an inbuilt control on the overall level of the human population. This is because the hunter gatherer society is highly mobile, travelling everywhere on foot, so it was imperative that the tribe not be overburdened with children, because of the difficulty of transporting them. Hunter gatherer women usually have a child every four of five years, to ensure that there aren’t too many very young children in the camp at once. For tens of thousands of years, a stable population of around five million humans survived and thrived, whilst maintaining a balance with nature. There was virtually no significant increase in the population, because five million was around the natural limit for a sustainable, nomadic way of life. However, around 10,000 years ago in an area of South West Asia known as the Fertile Crescent, man embarked upon an extraordinary experiment, instead of foraging for food, mankind sought to produce their own food using high yielding plants and animals that were easy to domesticate. The Neolithic Revolution would bring about the dawn of agriculture, and ultimately civilisation. The Neolithic Revolution has undoubtedly blessed humanity with many positives; after all, if it had never occurred, I wouldn’t have been able to write this article. But at the same, it has also spawned a whole host of problems that we, and the environment are still struggling to recover from. Prominent scientist, Jared Diamond even went so far to describe agriculture, as ‘The Biggest Mistake in the History of the Human Race’. A part of me can’t help but think that he is correct. This article is fantastic! I may use it when I teach my next unit! Thank you kindly! Yes I've heard about the attitudes taken towards the Hadza by contemporary Tanzanians, and it disgusts me. They should be treasured as a living link to the past. And as you say it would be far more beneficial for the country if they utilised them as a tourist attraction. I know that if I was ever fortunate enough to go there, I'd certainly want to see them. In my opinion they, and other tribes can teach us a lot about what it means to be human, far more than any civilised culture could. Their outlook is rather grim. IMO their skills they have are best suited for the lifestyle they are currently living, and many of them would have trouble adapting to modern life. They said they knew of Hadzabe that left for the city and returned to the tribe because they cannot make it in the city. The people in Tanzania for the most part are very poor and even for the more educated life is difficult there. Perhaps in a western country they would have more help from social services adapting, but they are not. Based on people there I talked to, the Tanzanian government and at least some of the Tanzanian people consider the Hadzabe not as an interesting stone age tribe, but as a national emberassement to a developing country that wants to be seen as modern. Our safari guide was surprised we were planning on visiting these people and said he did not have much desire to. He even seemed a little emberassed we knew of their existence. With that kind of attitude the Tanzanian government wants to assimilate them into the larger society which they are ill suited for without a modern education. Some people would probably be mad at me for visiting them and "corrupting" them with my modern influences, but I think their best chance of survival of their way of life is to try to become a major tourist attraction. That will bring them more money and influence, and perhaps they can afford to sent their children to school. It would not be an authentic experience for the tourists, and it will warp their way of life, but at least they may survive as a group and as individuals if they did become a tourist attraction like the Masai have done. Thank you very much Mark for that interesting story. I've watched a few documentaries on the Hadza, and they seem to have things tough because of living in close proximity to the Maasai, who inevitably are able to gain access to the best water sources both for them and their cattle. Moreover, wildlife in the are is nowhere as abundant as it you used to be, due to the big game hunting industry. It leaves tribes like the Hadza with precious little. I seem to remember the documentary mentioning that some have begun to cultivate their own crops out of desperation- it's the Neolithic Revolution played out in miniature in the modern world. Interesting article. My one experience with a hunter gatherer tribe was very limited, but I came away with the impression that their lifestyle was less than idyllic. For our honeymoon my wife and I visited Tanzania several years ago. When resarching I found online this tented camp on the shores of lake Eyasi that mentioned they offered tours of local tribes. I thought it would be interesting to do after our safari and before we went to Zanzibar, and I somehow convinced my wife to go along with this. We visited one of the tribes mentioned in your article, the Hadza tribe. They were called by the locals the Hadzabe but I think it was the same tribe. We got up at about 4:30 am and drove to the middle of nowhere, and got out of the car with our Hadzabe speaking guide to go find these people. After a couple minutes of walking we saw a campfire through the darkness, and smelled the scent of pot they were smoking as we got closer. There were three men and a couple of women and some children in the group, then men in one spot and the women in the other. They looked at us as if we were ghosts or something. After the guide talked with them we were off on a hunting trip with the men, running through the acacia bushes trying to keep up with them as they were tracking game. Before we knew it one of them caught a little antelope like creature called a dik dik. One of the Hadzabe quickly made a fire using the rubbing stick on rock method as easy as it is for us to use matches. I remember watching Les Stroud and some other survivalist shows where it took them hours to start a fire using this method, if it worked at all for them. Anyway, they shared some of the meat with us. My wife pretended to eat it and quietly threw it out, and I ate mine figuring if it is cooked it is fine. It tasted similar to deer meat as you would expect. In exchange out of politeness I offered them some bottled water and they were ecstatic to accept this, being the dry season. I figured by their reaction that potable water is very valuable for them, and they would have had to work hard to get what I gave them. After that we went back to the camp and I "conversed" with them through the guide. I took some photos and they were fascinated seeing the image of themselves on the camera, and were more than willing to pose for me once they warmed up to us. They also wanted to know what the heck we were doing there and I just told them we like adventure and meeting people from different places. They seemed satisfied with this. I even learned how to say hello in Hadzabe, something like UnTana with a clicking sound emphasizing the "T". However, I thought their life seemed very difficult. The fact that as long as they remained hunter gatherers they would probably never travel or try the wide variety of foods that we in the west can try. They cannot go to the grocery store like we can, and not knowing where my next meal would come from would be very stressful for me. Most of their teeth did not look in the greatest shape, obviously they did not have acces to modern dental care. I think we look at our lives and idealize how much easier it would be in simpler times, without considereing the details that would make that simpler lifestyle difficult. I think I will take my lifestyle with all the stress in entails over theirs. I do really admire their skills, and think of some of these survivialists like Les Stroud or those other shows, how the average Hadzabe would kick their you know what in a survival contest, at least in East Africa. Sorry JKenny, missed this bit with regards to megafauna. There is an island very close to the American coast which was the home to a herd of Mammoths. The herd could have been seen by anyone one the mainland and it would have been a short boat journey to get there. There is no evidence they were ever hunted. If our ancestors did not wipe them out them there must be other factors involved. Hi JKenny, thanks for the reply. I would not be to quick to blame just one source, i.e. prehistoric man, for the extinction of the megafauna. We do like simple answers but the reality is there are usually a number of contributing factors. One of the things to remember was that with the end of the last ice age the climate was changing, getting warmer in fact, and this would have environmental changes. How would this effect things. Well we know that in Europe the environment changed from woodland to grassland. Neanderthals had developed a hunting strategy which relied on ambushing its prey in the woodland using a heavy spear. Once the environment changed into woodland they were in trouble. 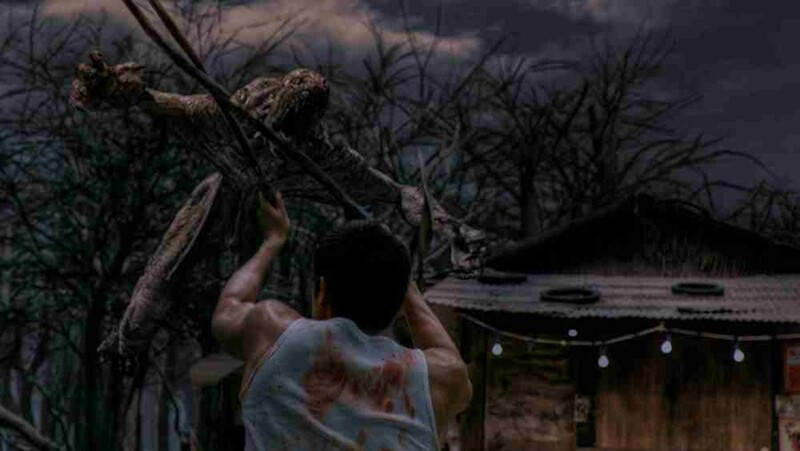 They could not ambush their prey any more and the spear was to heavy for throwing. Our ancestors, on the other hand were using a light six foot long dart with a spear thrower with a range of up to 70 yards. Another factor was that they needed twice the daily input of calories as our ancestors did. All this contributed to a lower birthrate which meant they went extinct. Some have blamed our ancestors for the demise of the Neanderthal, but as we can see above there was a number of factors involved. By the way, most had gone before our ancestors arrived in the area. I look forward to reading Hunter gatherer, noble or savage. Thank you very much for your input. I must admit that I am aware that hunter gatherers didn't completely live in balance with their environment. I've written about the extinction of the megafauna, which was likely caused by paleolithic hunter gatherers. But admittedly compared to us, they enjoyed a relationship with the natural world which many of us would find hard to understand. Did you see the link I included 'Hunter Gatherers: Noble or Savage?' it basically gives a very good summary of the sentiments you've expressed here. Hi JKenny, interesting hub but I have to disagree with some of what you say. I should state before I go any further that I studied archaeology at university which included the British Paleolithic and Mesolithic periods. In other words the hunter gatherers of Britain. 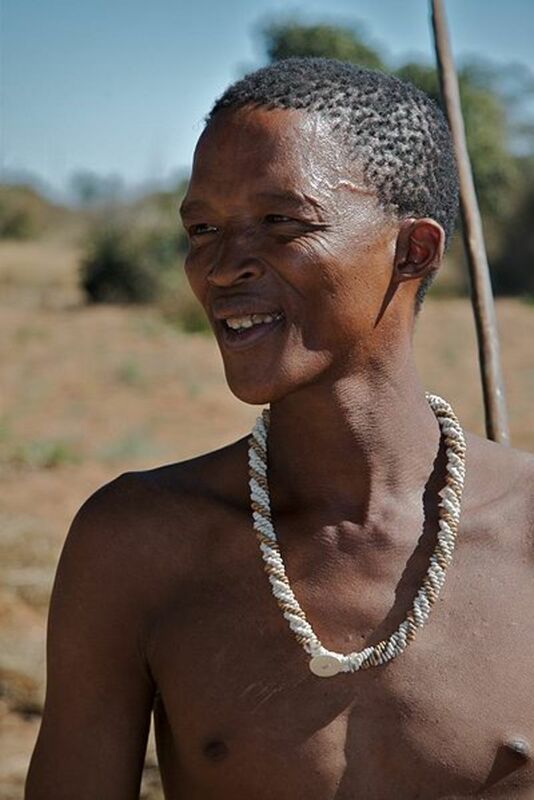 You mentioned Hunter gatherers living in harmony with nature. But if you look this is not what they have done. If you look at the American and Canadian prairie grassland there are very few trees on it. Why? Because the Plains Indians would burn off the old dried up grass to let the new grass grow. The new grass grew back with a higher sugar content and this would encourage the buffalo to come there to feed. This helped them to hunt the buffalo. Please take a look at their hunting methods by the way. One favourite method would be to drive hundreds of buffalo of a cliff then help themselves to the meat. Most of the meat was not removed and went to waste. In Australia the aborigines also burnt back grassland to encourage new growth so that they could hunt kangaroos. One of my university assignments at I had to write was to do with the mesolithic site at Star Carr in North Yorkshire where the read beds were burnt back. this was to help them hunt deer. This was called environmental management, exploiting the environment to better suit their needs. Life was also a lot harder then you mentioned. This was subsistence living, very much hand to mouth. This means that if for any reason you cannot get enough food you will go hungry or even die. A harsh winter, and remember that it is not until the mesolithic that we are finally free of the last ice age, could result in entire families being wiped out. I did enjoy seeing the cave art. I was very lucky because when I was studying archaeology as we had one class with Paul Bahn, one of the leading experts on cave art. He happens to live locally so that help. I hope I have not caused you any upset by what I have written as this was not my intention. In fact I have taken several hours to write this comment because I have added bits in and taken bits out because I do not want to come across as being critical of your hub, and I do admire the work you have put into it. I will finish by saying I look forward to reading you other hubs. Thanks, JKenny, for letting me know. I appreciate it. Hi savvydating, thanks for popping by. Hunter gatherer women employed something called extended breastfeeding, meaning that they breastfed children for 4-5 years, to prevent themselves from becoming pregnant. 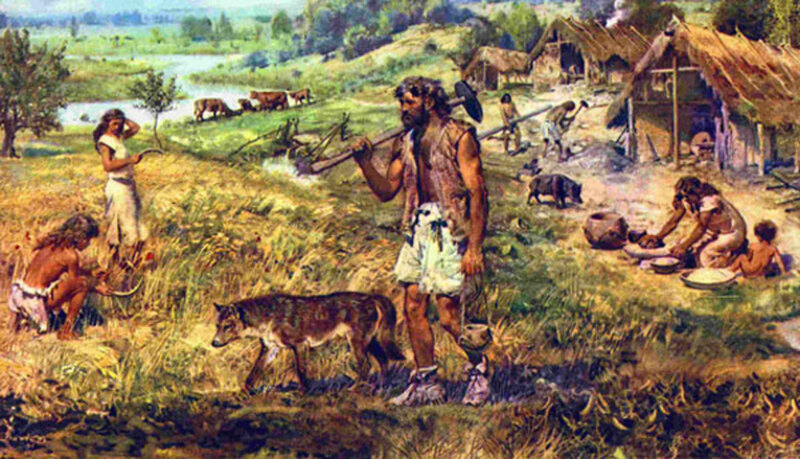 The reason for this is that hunter gatherer groups had to remain small, due to their reliance on wild food. Unfortunately infanticide was practiced during times of stress- but it was necessary to ensure the overall health of the group. What a fascinating hub. You mentioned that women bore children every 4-5 years. Was this due to lack of body fat or did they discover the body's natural rhythm method. I'd be interested to know when you have a chance to write back. (That is if you know the answer) At any rate, I enjoyed learning how generous and peaceful hunter/gatherers were. Thanks! Thank you very much kakaboo. im glad I have this website to depend on !!!! Yep, for me that's why they are probably the happiest people on Earth. They don't need possessions, the landscape they live in provides all the resources they'll ever need. Thanks for stopping by. very very interesting read.. I like this one: "Why burden yourself with things that you do not need?" Thanks hockey8mn, personally I think that the invention of agriculture was the one of the biggest mistakes we ever made. I first learnt of the Hadza after watching a documentary on the BBC, and I have to say that I am extremely envious of their simple lifestyle. I did write a hub about a hunter gatherer tribe called the Sentinelese, one of the last uncontacted tribes. Thanks for dropping by and for the fan mail. As someone that studied anthropology in college, I read some of the hubs on the Aztecs, Maya, other cultures, and other anthropological topics and can't help but slam my head into the wall. I can't believe some of the things people write. However, I must say I enjoyed reading this and learning about the Hadza. I had never heard of them. My area of interest was (and still is) economic anthropology. I can't help but think, what if we never did start to domestic crops? Life would be so much different. Not really sure if it would be good or bad. Voted up and interesting. It does doesn't it. Like you, I've hiked forest trails, but I've also done a little bit of foraging, admittedly only in the summer months though. Would love to do a little more. Thanks for popping by. Being a hunter gatherer sounds like an ideal life for me. Not that I do any hunting now, but I'd like to. Hiking on forest trails seem to be the closest I've done so far. Hi Mazzy, I'd love for us to go back as well, but we can't. There's too many of us, too little space. I agree though, if civilisation falls, then the hunter gatherers will be best equipped to survive. We may end up having to revert something like their lifestyle if civilisation falls. Thanks for dropping by. Very interesting and well-written. The lifestyle sounds idyllic, but somehow I can't see us going back to it - at least not in Britain. I wouldn't fancy having to catch squirrels in the rain:) If we end up destroying our civilization, though, those few tribes of hunter-gatherers deep in the rainforest might be the ones who survive. Hi Trish, thanks for dropping by. Hindsight is a wonderful thing isn't it. Personally, I wish we could go back, but unfortunately its impossible. Oh well! Another day of work beckons haha! Thanks Nell, I love any programs by Ray Mears or Bruce Parry. 'Living archaeology', I like that name sounds very apt. One of the things that amazes me about hunter gatherers, particularly in jungles is how they can run easily barefoot, whereas I struggle to walk barefoot, guess that's due to a lifetime of wearing shoes. I noticed the owner took down the Ray Mears videos, but I've put another one up now, from a different owner. Thanks for letting me know. Thanks Jools, one of the things that fascinates me is how people always think of the future as bright and prosperous, but often end up feeling nostalgic about the past. Every time I see hunter gatherers on the TV, I can't help but envy their lifestyle. Jk, a very interesting and detailed hub. It is amazing to note the way modern life has landed us with diseases still unheard of in some places. The simplicity of their lives is to be admired. The info about Picasso's visit to see neolithic art is very interesting too. Voted up. Good point about the house cat, Alastar. I love cats myself, but they do seem to take advantage our kindheartedness don't they? Sometimes I wonder if Marx had hunter gatherers in mind when he was drawing up his 'Communist Manifesto'. Communism itself sounds good on paper, but is totally impossible to implement properly because all civilisations are built on some sort of hierarchy or class system, total equality is impossible. Unfortunately I've never seen any of the cave paintings in France. 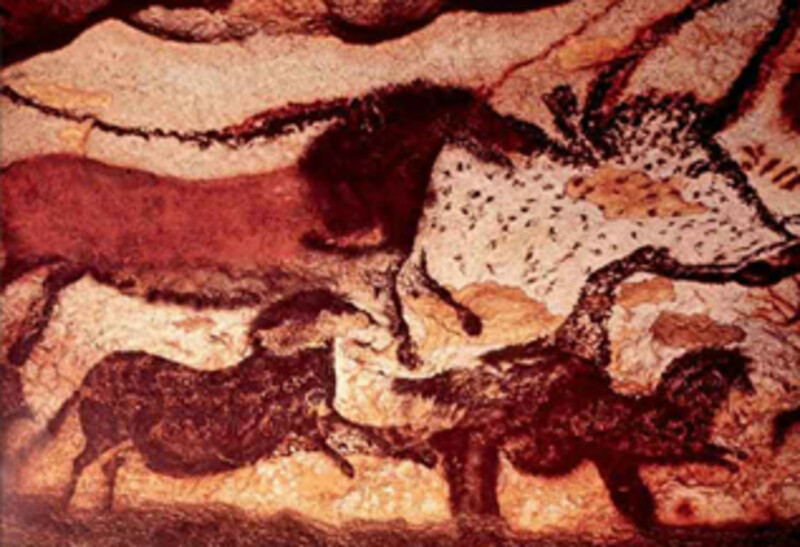 In fact, the Lascaux caves are now off limits to the public, because human body heat began to literally melt the paint. The French erected an artificial, plastic cave nearby and copied the paintings. I'd love to try and see the caves near Altamira though. I do remember visiting Cheddar Gorge in Southern England, and I actually walked through Gough's Cave where the oldest complete skeleton in Britain was found, about 8000 years old; it was so awesome. Thanks for taking the time to read and comment, my friend. Ha JKenny, the first paragraph brought to mind a house cat! But the hunter-gatherer life could indeed be idyllic as you point out. Guess some might even call them the first communists or socialists. The early man saga has always been very intriguing here and i like your style and the way you've presented your info on this hub JKenny. 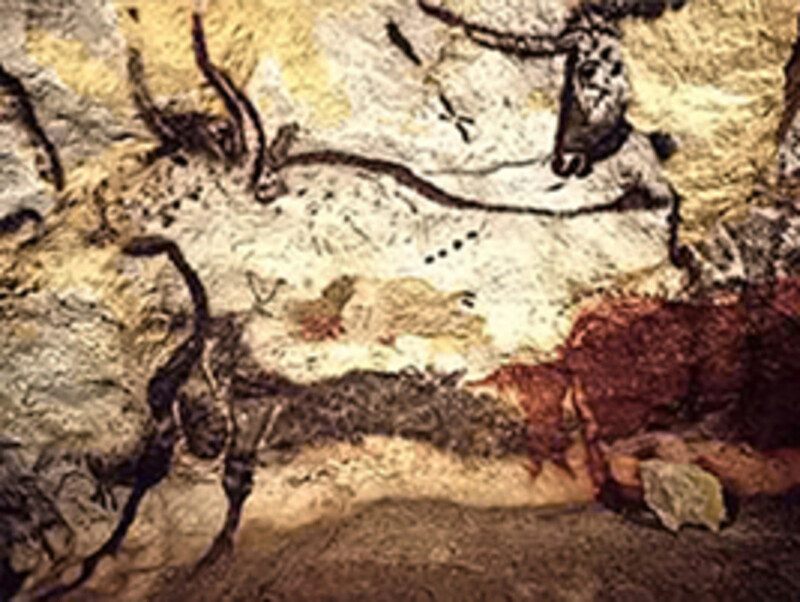 Since your close to France have you ever visited any of the cave paintings? Thanks StripedCrunchy. There's never any harm in buying more books haha! That quadrilogy sounds very interesting, can't wait to read them. Thank you very much for your kind words christopher, very much appreciated. Brilliant article. Full of interesting facts. You really engage very well with your subject. I hope you get loads of readers. You deserve them. Thanks Eddy; no problem at all. Thanks for the bookmark, I really appreciate it. Enjoy the rest of your weekend. What an amazing read and I bookmark as one of my favourites;along with of course my up up and away. Thanks theastrology, really glad you liked it, because I really enjoyed writing it. It's really very interesting. Love to read it. Thanks Sherry, it certainly does. It's a shame that reverting back to that lifestyle is not viable, because it would certainly solve a lot of problems. Thanks inevitablesecrets, are you studying archaeology now? It must be a really cool thing to study. It certainly sounds like a simpler way to live.